Looking for answers about your lost loved one? The author of “After This” offers advice for heading into a medium session fully prepared. I read this article and found it very interesting, thought it might be something for you. 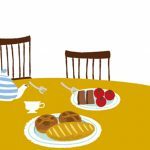 The article is called 5 Things to Do Before Visiting a Psychic Medium and is located at http://modernloss.com/5-things-to-do-before-visiting-a-psychic-medium/. 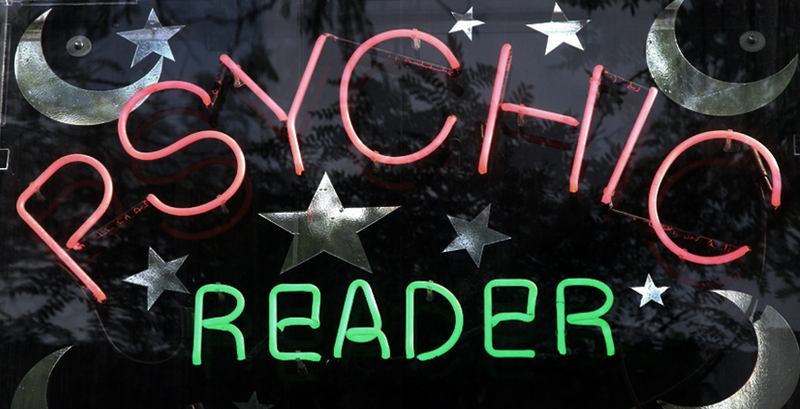 I admit it: Seeing a psychic medium was something I never imagined I’d recommend doing one day. As a grief counselor with a master’s degree in clinical psychology and background in hospice, I’d always viewed mediums as solely for the desperate and confused. That changed in the spring of 2010. Making good on a promise I’d whispered to a dying friend in my early twenties, I booked an appointment with famed psychic medium John Edward. What I experienced during that session became the beginning of the journey I outline in After This: When Life is Over Where Do We Go, a book about my search to find ways to remain connected with our lost loved ones. By now I’ve met at least a dozen psychic mediums, including a small town in central Florida comprised solely of them (yes), and now believe a good session with a medium can actually benefit the grief process. Are you still deep in it? Wishing there were still a way to bring your loved one back? Depressed or angry? Overly tearful or sad? Be honest with yourself. If you answered yes to any, seek individual or group counseling in order to find more solid ground before seeing a medium. According to both the mediums I’ve spoken to and my additional research, time isn’t a serious factor in determining whether a deceased individual will come through during a session. But having that session before you’ve had time to process the loss can lead to undue expectations. They run the gamut, from celebrity to boardwalk scam-artist. Ask friends and family for recommendations (you’d be surprised by how many people in your life have one). If you’re curious about a famous medium, read their website. Even if you can’t snag a session, they’ll probably provide a list of more accessible options. Some mediums host what is commonly called “spirit circles,” in which they work with a large room of participants and give readings at random. You aren’t guaranteed one but it’s a good way to see how the whole thing works. It also might take some pressure off any expectations you’re holding. A private session guarantees you a reading and protects your privacy. Think about what feels right before deciding. 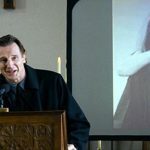 I’ve personally found some of the group readings quite cathartic; it can be comforting to know you aren’t alone in your desire to connect with a lost loved one. Talk to them in your head, tell them you’re going to see a medium, and ask them to come through. Have the medium describe the process beforehand. During the reading try to remain open and relaxed state. In my initial visits I was so hesitant to reveal any details or even acknowledge that what they were telling me was true; I worried it would leave me wondering if the experience was valid. Eventually, I realized most mediums need some communication from you during a session. Trust me, most of them too busy to sit around Googling you beforehand. Some people have a great first experience and never return, feeling they heard everything they wanted to. If your initial session isn’t fulfilling, I suggest trying it at least one more time with a different medium. Ask if you can record the session (I’ve done this many times through an app on my phone) or take notes. So much information comes through that often it’s hard to remember later. And some of it may not resonate at the time but might make sense later. Important: Not all mediums out there are great. Usually this simply results in a reading that doesn’t resonate. Feel free to voice your misgivings during the session. Tell them if something they’re saying doesn’t sound right. And if you get a bad reading, don’t let it discourage you from trying again with someone else. A reading can be an emotional experience. It’s helpful to review the process later from a more grounded state. Carefully select the people you do this with. For some, the idea of seeing a medium brings up complicated feelings or goes against certain belief systems and they may be judgmental or critical. After the session, think about new ways to stay connected to your loved one. You may feel more open than ever that you can communicate with them. Go with it. Write letters, speak out loud to them, hang more photos around your home. If you didn’t have a good experience, try not to become discouraged. In the end, just try to have fun. Whatever you believe, it’s good practice to keep finding ways for deceased loved ones to remain present in our lives. Claire Bidwell Smith is a therapist specializing in grief and the author of two books of nonfiction: The Rules of Inheritance: A Memoir and After This: When Life Is Over, Where Do We Go? Claire has a bachelor’s degree in creative writing from The New School University, and a master’s degree in clinical psychology from Antioch University. She teaches numerous workshops around the country and has written for various publications including The Huffington Post, Salon.com, Slate, Chicago Public Radio, The Guardian and BlackBook Magazine. Claire currently works in private practice in Los Angeles. You can find more of our favorite reads at the Modern Loss Amazon gift shop. Do visit!